Last week, the government reported to the 14th National Assembly that, based on thorough analysis of domestic and international situations, Vietnam will have new socio-economic targets for 2019, including a growth target of 6.8% (see box). The economy has been strongly growing, with growth quality improving significantly. This will lay firm groundwork for higher growth next year, the government stated. According to the Ministry of Planning and Investment, it is expected that the economy’s 2018 GDP growth will be higher than the initial target of 6.7%. The economy grew 5.98% in 2014, 6.68% in 2015, 6.21% in 2016, and 6.81% last year. In the first nine months of this year, the rate was 6.98%. If the economy grows 6.7% this year, the total GDP will be valued at US$240.5 billion, higher than last year’s by more than US$220 billion. In addition, Vietnam’s per capita GDP is estimated to be US$2,540 – up by US$155 against last year, and by US$325 against 2016, and 1.21 times higher than in 2015. One of the most outstanding points in the economy is that the economic growth quality has witnessed a remarkable improvement, with the contribution of the total-factor productivity (TFP) and labour productivity augmenting. Specifically, the TFP ratio in the economy stood at 33.58% in the 2011-2015 period, and 45.47% in 2018. A rise in TFP is usually due to technological innovations or improvements. Labour productivity also increased by 6% last year from the average annual 4.3% rate in the 2011-2015 period. Vu Hong Thanh, Chairman of the National Assembly Economic Committee, said that the economy has been clearly growing in a positive manner, with improved quality. “One of the most eminent points is that the trade balance has shifted from a deficit previously to a surplus over the past three years. Moreover, attraction and disbursement of foreign direct investment (FDI) have also been increasing. Especially, the ratio of FDI in the processing and manufacturing sector has been growing,” Thanh said. 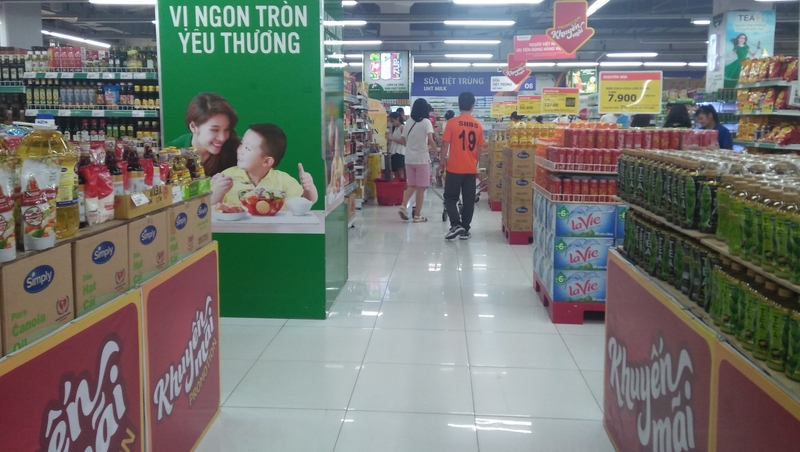 According to the government, Vietnam will likely witness a total export-import turnover of US$475 billion this year – up 11.7% year-on-year, including US$238 billion in exports and US$237 billion in imports. This will lead to a trade surplus of US$1 billion for 2018. Furthermore, total FDI disbursement this year is estimated to hit a record US$18 billion, up from the record figure of US$17.5 billion last year. In the first 10 months of this year, total FDI disbursement reached US$15.1 billion, up 6.3% year-on-year, and stake acquisitions by foreign investors and businesses touched US$6.3 billion, up 35.8% year-on-year. According to the Ministry of Planning and Investment, if the economy grows 6.7% this year, the average growth rate over the past three years will be 6.57%, much higher than that of 5.91% posted in the 2011-2016 period. For 2019 and 2020, the average growth rate of Vietnam is projected to be 6.9%, thus bringing the average growth rate for the entire five-year period to 6.71%. The National Assembly earlier set an average target of 6.5-6.7% in economic growth for the 2016-2020 period. Yesterday, Prime Minister Nguyen Xuan Phuc reported to the National Assembly that Vietnam has numerous growth driving forces to boost its growth sustainably. Specifically, the momentum must be based on households’ growing consumption, which currently contributes to almost three-fourths of total GDP, as well as investment, especially local privately-owned and foreign investment and strong development of the service, agriculture, and industrial sectors. “In the middle term, it is necessary to seek new momentum for quicker and more sustainable growth,” the prime minister said. According to him, the new growth momentum will come from the development of private enterprises, especially locally-owned ones, boosted equitisation and the enhancement of the operational effectiveness of state-owned enterprises. Moreover, it is necessary, as another momentum, to take advantage of the signed bilateral and multi-lateral free trade agreements. - Total development investment capital: 33-34% of GDP or VND2.036-2.097 quadrillion (US$88.52-91.17 billion). - Total budget deficit: VND222 trillion (US$9.65 billion), equivalent to about 3.6% of the GDP.